Writer/director Gregory King has quickly made a name as a distinctive voice in digital filmmaking. His first feature was dysfunctional family story Christmas (2003), followed by A Song of Good (2008). Originally trained as an actor — something he recommends all directors try — King began directing short films in the late 90s. His debut short Pop won an outstanding achievement in video production award at the Melbourne Film Festival, while ...Teach You a Lesson was selected for the Melbourne and New Zealand festivals. King's third short Junk won him the best short film award at the NZ Film and Television Awards, and the following year he was named SPADA NZ Filmmaker of 2002. King made his feature film debut with Christmas, which was invited to festivals in Toronto, Edinburgh, Melbourne and New Zealand. Set in a crowded Whangarei bungalow in the days leading up to Christmas, the film revolves around four troubled adult siblings, their parents, an alcoholic boyfriend and two children. Filming in the house where he grew up, King’s intention was to look at a group of people without judging or “assuming the arrogant stance” of understanding their behaviour. The low-budget feature went on to win four NZ film awards for digital films - including best feature and screenplay, and best acting (for Darien Takle). King has also appeared before the camera. He features as drug-addicted friend of the main character in Colin Hodson’s digital feature .ON. The film was originally released in 2002, in a longer cut, as .OFF. In 2004 King won selection to the Binger Filmlab, a film development school based in Amsterdam. King was especially appreciative of the lab’s “rewarding” writing programme. There King’s next project — which he described as being about "redemption, alienation, power" — won the enthusiasm of editor Molly Stensgaard, a colleague of wunderkind Danish director Lars von Trier. Plans to make A Song of Good as a co-production with Von Trier’s Zentropa entertainment were later abandoned after funding difficulties; instead the film would ultimately be produced through the New Zealand Film Commission’s Headstrong digital film scheme. The top drawer cast includes Danielle Cormack, Jonathon Hendry, and Matt Sunderland (Out of the Blue). The film chronicles the struggle of a young man (Gareth Reeves) to redeem himself after committing a horrific crime. His overbearing father (Ian Mune) proves little help. Both Mune and Reeves were nominated for NZ Film and TV acting awards. The movie took away gongs in a new category devoted to films that cost under $1 million: best film, and another for the work of cinematographer Virginia Loane. Among invitations to international film festivals, A Song of Good made its sell-out debut at the prestigious Rotterdam Film Festival. In February 2009 A Song of Good was distributed using a pioneering method: the movie was made available to watch via an official website, for 24 hours. The film’s NZ DVD distributor Vendetta then cancelled the film's planned DVD release, claiming they hadn’t been told of the plan to stream it free online. Happily, publicity drummed up by the online release led to a surge of orders from video chains. King has also written for others. Short film Brave Donkey, written for Kiwi director Gaysorn Thavat, won invitation to a number of festivals (Locarno, London, Melbourne). 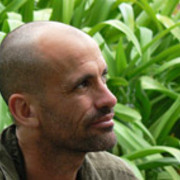 He was nominated for an Aotearoa Film Award after co-writing short film Bird, with director Jane Shearer and Steve Ayson. In 2015 King's short UFO won the Special Jury Prize at Kiwi festival Show Me Shorts. Judges described this tale of an alien trying to escape its human family as "exceptionally bold and brave". Now based in Wellington, King has worked as a script consultant for filmmakers from New Zealand, Denmark and the United States. He is also developing his own projects, including feature Pollution Girl Dreaming.